Valerian root distilled from the root has been used for centuries. During the last three decades, it has been clinically investigated for its relaxing properties. The fragrance is very calming and grounding to the body and mind. It has a musty and woody aroma that most people either like or don’t like! But, animals seem to resonate very well with this oil. That is why Valerian root is perfect for restlessness, occasional sleeplessness and anything that may require a little stress easing! Trauma Life a professionally made blend contains this oil for that reason. 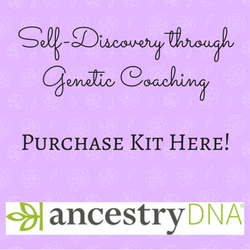 Place it in your First Aid Kit for the barn or the house! I designed this section so you could use it as a fun and easy reference guide on Valerian. It will tell you how to use your oil and what to use it for. It will also provide you with some fun tips, testimonials and oil trivia! As I receive new tips and testimonials on Valerian root oil they will be added to the page, so check back often! 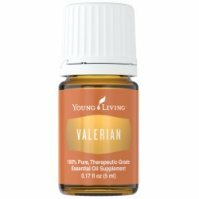 Buy Valerian Essential Oil Here! Valerian Essential Oil Here! Why is this information important? Well, believe it or not, some companies will substitute a species within the family where the fragrance is similar! But remember, then it will have different properties and uses, so please be aware of this. For example, many people may use Spikenard as a substitute. Spikenard is in the Valerian Family. What is the Latin Derivative? Valerian is derived from a personal name "Valerius"
Why be bothered with this number? ORAC stands for Oxygen Radical Absorbance Capacity. It tells you the antioxidant capacity of a food item. This was developed by the USDA researchers. For instance: Kale= 1,770; Clove = 1,078,700. Wow! The number for clove is NOT a typo! Did you know that Valerian root was used as a medicinal herb in ancient Greece and Rome? What is the Aromatic Affect on the Mind? Calming, grounding, relaxing, and balancing. What is the Spiritual Influence? Greater clarity and balance. What Chakra is Affected? Promotes balance of the central nervous system which does not have a specific chakra. Can this oil be used for pets? Yes, in small amounts. Common use is to control pain and for calming. What are the Safety Precautions? First, only use therapeutic grade essential oils! Valerian oil does not have contraindications know at normal aroma-therapeutic doses; however it is recommended that it is not taken in large doses or for a long period of time. I typically use this oil in a blend that is pre-made to provide a balancing effect. Did you know that Valerian was used in many love potions and aphrodisiacs? Did you know that the German Commission E has pronounced Valerian to be an effective aid for restlessness and for sleep support? Want to Purchase Therapeutic Valerian Essential Oil? Go to the Oil Shop! Buy Valerian Oil Here! Valerian root essential oil can really help to calm and relax a horse. Sometimes it is just enough to take the edge off for the farrier or the vet! But remember, if you compete, check with your governing organization to find out what oils and herbs are on the prohibited substances list.